Darrel Miklos an independent explorer is known for doing research on the various intensive mysterious topics and this time when he was searching for shipwrecks on the Caribbean for Discovery Channel's treasure hunt show 'Cooper's Treasure' found something the mankind has never seen on earth so far. 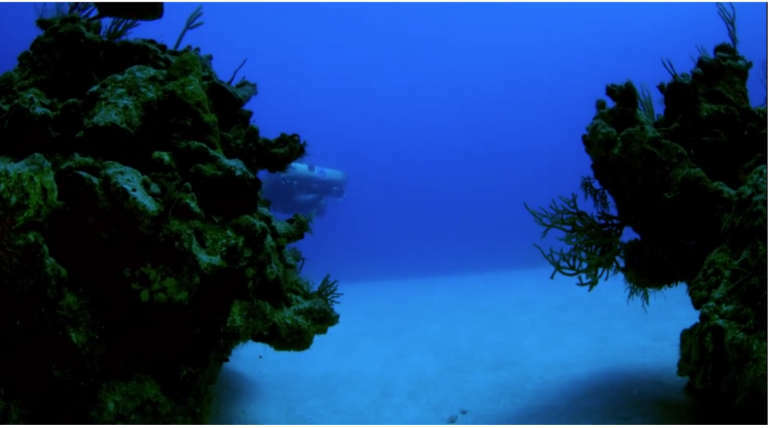 The research under the surface of Bermuda Triangle lead to the discovery of the object that is almost 300 feet in height and 600 feet of diameter, such huge sized objects didn’t look like any wrecked objects turned into such appearances. According to scientists, no such corals grow in all aquatic conditions and it is almost 5000 years old by seeing the depth of the objects. Miklos says that these structures are shocking that seems extraterrestrial and are never seen anywhere in the world with this kind of huge appearance and strange structure. Further research is going on considering its connections with the mystery around Bermuda circle, let’s wait until the next update comes about the underwater objects.